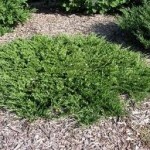 A wide spreading groundcover with feathery, bright green foliage. Prefers full sun and well-drained soil. Tolerates a wide range of soil types, with good heat and drought tolerance. Useful for mass plantings. It requires little maintenance, perhaps a little tip pruning to help them fill in quicker.